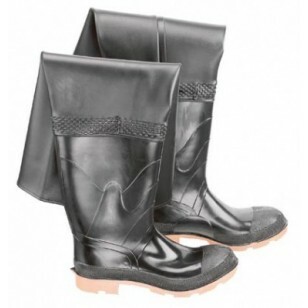 The Storm King rubber boot provides seamless, lightweight PVC, non-absorbent protection up to your hips. They are excellent for cold weather, are adjustable, and resistant to oils, greases, gasoline, and ozone. Great for aquaculture and commercial fishing. Excellent for use in utilities, municipalities, aquaculture and commercial fishing.